Never a dull moment at Legendary Boot Co. This version of the Las Vegas has a tan Bullhide vamp & chocolate heel. 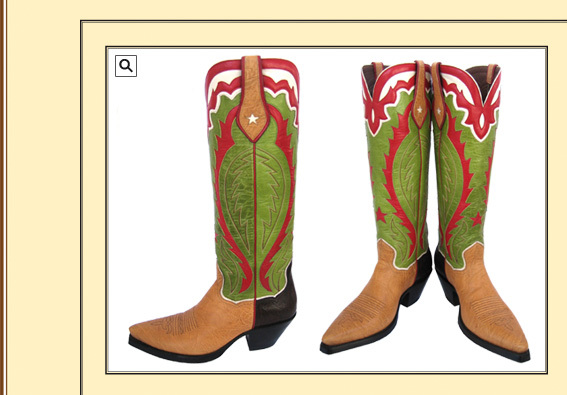 The top is 17" green with red inlays, collar multi colored stitching. Shown with a 2 1/2" undershot heel and very narrow square toe.